A combination of local policies and practices can help restore the profession. We don't need to speculate about the causes of the teacher shortages that have been playing out in many parts of the country. Over the past two decades, the perfect storm of lowered respect, toxic teacher evaluation systems, adverse working conditions, inconsistent leadership, lack of efficacy, professional isolation, and inadequate pay have combined to create the ideal conditions for shortages. Some jurisdictions have responded by offering emergency credentials—or allowances for no credentials at all—to get people in the classroom. Of course, that solution only makes matters worse by shortchanging students and putting additional pressures on the teachers who are qualified to teach. Shortages of qualified teachers are particularly acute in schools serving poor students in urban and rural areas, where turnover of administrators and teachers is high (Papay et al., 2018). The challenge lies both in retaining teachers and in attracting talented new people into the profession. Many states are reporting sharp declines in enrollments in teacher-preparation programs (Westervelt, 2015). According to The Learning Policy Institute, more than 80 percent of California districts report a shortage of teachers, and 82 percent say they've hired underprepared teachers to fill the gaps (Sutcher, Carver-Thomas, & Darling-Hammond, 2018). Nationally, an estimated eight percent of teachers leave the profession each year (Sutcher, Darling-Hammond, & Carver-Thomas, 2016). This combination of diminished supply in the pipeline, decreasing availability of career educators, and increased demand on existing teachers could lead to a crisis that threatens our system of public education. Indeed, that may already be happening. But it doesn't have to be this way. A combination of sound policies and practices, most of which can be established at the local level, can restore the teacher pipeline and, more importantly, restore the profession to its rightful place in an equitable society. A synthesis of the best evidence suggests that, while money is part of the equation, it is less important than other factors in attracting and retaining educators who can make a difference in schools. Here are seven areas where school leaders should be focusing attention. "If you get the math curriculum wrong," a parent ranted to a 5th grade teacher at my daughter's school, "you will ruin my child's life!" I wish that I could say that this behavior is exceptional, but from recent travels to 50 states and 25 countries, I can testify that it is not. Teachers are on the receiving end of contempt and spite not only from parents but also from policymakers, who appear to have the operating presumption that the teachers are incompetent. There are many causes for this lack of respect, but I have to interject that the wounds are partly self-inflicted—the result of more educators seeking to engage students through "choice" and lowered expectations rather than through challenge. Popular education speakers and authors have increasingly promoted the idea that, as at Summerhill in the 1960's, students intuitively know best. The fundamental flaw in this reasoning is that students are not customers. While customers demand and often receive instant gratification, students must learn delayed gratification and the resilience that accompanies struggle and failure. Every experienced teacher has, I hope, enjoyed the satisfaction of the student returning to their classroom five, ten, twenty years later to express appreciation and humility. It is often only in hindsight that students understand the rationale behind challenges and demands that their best teachers put on them. The essence of professional respect is not instant popularity or approval by students and parents, but the confidence that great practice requires patience and challenge. Physicians, attorneys, engineers, accountants, and yes, teachers, must all occasionally deliver unpopular messages. That's part of what professionals do. They are not entertainers, but advocates for the truth and the long-term best interests of their clients. A renewal of this attitude in teaching could serve the profession well. Kim Marshall (2017) makes a compelling case that prevailing methods of teacher evaluation are deeply flawed and counterproductive. Evaluation systems, sometimes with union concurrence and other times by legislative fiat, undermine the very qualities that policymakers seek to promote. Although a solid case can be made for incorporating student learning as an element of teacher evaluation, the standards for effective feedback for teachers should be the same as for students—that is, feedback should be fair, accurate, specific, and timely. Fairness requires consistency—meaning that different observers rate the same performance in the same manner. Accuracy requires that we assess what we think we are assessing—that is, we are assessing the teacher's professional practices and impact on achievement, not the diligence or socioeconomic status of parents. Specificity demands that teachers receive feedback that they can use to improve their craft. Opaque statistical methods do not deliver this. Timeliness demands that teachers receive feedback immediately so that they can link observations to performance. The prevailing evaluation practices in too many jurisdictions—in which the month of May is devoted to documentation drills—violate all of these principles. The feedback is inconsistent and unfair. It is inaccurate, linked more to the students' socio-economic status than to the practices of the teachers. It is wantonly unspecific, leaving the person being evaluated without a clue as to how to improve in the essentials of instruction, assessment, curriculum, and classroom management. It is generally given too late to be of any use. We can and must do better in supporting and developing professional educators. The polling organization Gallup has reported that people do not quit jobs; they quit bosses (Harter, 2016). Along the same lines, John Goodlad's pioneering study of more than 2,500 schools (2004) concluded that the same faculty, with the same bargaining agreement, the same per-pupil funding, and the same schedule, could have dramatically different results with different leadership. But two and a half decades of toxic policies—including punishments and rewards for school systems based largely on terminating or moving principals—has led to teachers being at sea amid a squall of inconsistent initiatives and demands. The resulting cynicism prevents the effective implementation of even the most promising ideas. This leadership turmoil ultimately contributes to poor morale in the teaching profession. Consider: Another Gallup poll found that employees who are coached on their strengths every day are six times as likely to be engaged in their jobs and more than three times as likely to report having an excellent quality of life in general (Rath, 2007). Amid the steady churn of mandates and administrator turnover, this kind of strengths-based coaching from leadership is increasingly rare in schools. Educational research is often distrusted. "You can find a researcher to say anything," the widespread critique goes. But what about when there is a confluence of different researchers with different methods operating with complete independence coming to the same conclusion? That is precisely what happened with regard to teacher efficacy—the state achieved when educators in a school have the bone-deep belief that they can make a difference for students. Robert Marzano (2017) led the field with his ground-breaking meta-analysis on the power of teachers to improve student results. John Hattie and colleagues followed with the finding that of more than 240 factors linked to student achievement, teacher efficacy had the most significant impact (Visible Learning, 2018). Michael Fullan and colleagues (2018) added qualitative insights on the value of collective inquiry, putting teacher efficacy at the heart of their model of deep learning in schools. I offered a quantitative analysis of schools in the United States and Canada that linked efficacy to gains in student achievement (Reeves, 2017). The preponderance of the evidence—quantitative, qualitative, and meta-analytic—leads to the inescapable conclusion that teacher efficacy matters. 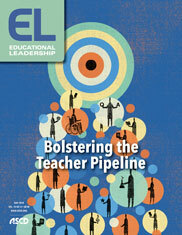 Therefore, it is essential for school leaders to elevate policies that support teacher efficacy—for example, publicly linking teachers' practices to student success and helping teachers build on strategies that are having an impact (DuFour, Reeves, & DuFour, 2018)—and call out policies that undermine efficacy. Two widespread practices that undermine efficacy, for example, are the use of data to rate, rank, and humiliate teachers, and teacher observation and evaluation practices that provide minimal or no feedback to the teacher. The common practice of sending automated e-mails to teachers after an observation is particularly pernicious, when just a bit of human contact could have an emotionally positive impact. The leading scholar on teacher retention, Richard Ingersoll, has amassed a mountain of research that comes down to this conclusion: Teachers—including in high-demand specialties such as math, science, and technology—are leaving not merely because the economic rewards are greater in the private sector, but because they lack the autonomy to engage their students in a creative manner (Walker, 2015). When I surveyed more than 6,000 teachers on this issue, they estimated that only four percent of their decisions were autonomous or at their discretion, compared to more than 70 percent that were administratively determined, with the balance being decisions that were collaborative with their colleagues (Reeves, 2016). School systems hire teachers because they are bright, creative, and independent, and then seem deeply disappointed because they turn out to be bright, creative, and independent. This is no way to treat professionals; it's no wonder they leave. Teachers' time during the school day is a zero-sum game. Every moment devoted to mind-numbing staff meetings is a moment diverted from the creation of multi-disciplinary assessments, strategies to engage students, and the thoughtful deliberations that make the profession intellectually engaging. In analysis of 196 schools with a combined enrollment of more than 750,000 students, I found that the use of professional learning communities was significantly correlated to student-achievement gains in reading, science, and math scores—but only when the principles of effective PLCs were practiced with depth and duration (Reeves, 2015). That is, in the schools that merely changed the name of their faculty meetings to "professional learning communities," the PLCs had no impact. But in schools that intensively applied the principles of PLC's—collective ownership of student results, deliberate reflection on teaching practices, explicit intervention for struggling students, and clear strategies for extending learning for students who need it—the format dramatically improved results, and those improvements were greater the longer the schools implemented these collaborative practices. This suggests that purposeful collaboration in schools does matter—and can lead to both improved teacher efficacy and better working conditions. While money is an essential part of providing the opportunity for working professionals to pay the rent, save for retirement, and send their own kids to college, it is listed last here for a reason. It is a necessary part of fixing the teacher pipeline equation, but insufficient on its own. A recent Gallup poll revealed that nursing is the single most respected profession in the United States (Brenan, 2017). Yet nurses are undercompensated compared to less well-respected professions. So why do people become nurses, social workers, therapists, and teachers? They seek meaning, not just remuneration. When the contest is between money and meaning, the latter will prevail almost every time. Nevertheless, money is an essential ingredient in securing the future of the teaching profession. The arguments against a living wage for teachers—they get the summers off, they have a six-hour day, and so on—are tired, damaging, and based on false information. So here is a novel approach. Let's calculate the average pay (plus benefits) of members of Congress and state legislators who determine, for better or worse, educational policies in this country, and then use that figure to determine teacher pay. If we used the mean compensation of these educational policymakers as the benchmark for teacher compensation, we might at least approach a fair wage for teachers. To be clear, this is not about merit pay. We do not pay members of Congress or legislatures based on the number of bills they introduce or committees that they chair. There is a general presumption that, once elected, they should receive equitable pay and benefits. Although teachers and politicians alike might resent the comparison I am proposing, this seems to be a fair way to resolve compensation gap in education. And it would significantly elevate the teaching profession, both in pay and stature. Perhaps the most disheartening explanation for the problems in the pipeline of teachers is that "women have more options today, so they don't need to go into teaching." I cannot conceal my contempt for this line of reasoning. It suggests that generations of women chose teaching as a default rather than a mission, and that men who chose teaching were incapable of other alternatives. We will never restore the teaching profession and, more broadly, public education, without redefining the profession itself. The nation depends upon education, and education depends upon—more than any other factor—effective teaching. Recruiting and retaining our best teachers depends upon respect, feedback, leadership, efficacy, autonomy, collaboration, and money. There is no single solution, but working together—parents, policymakers, teachers, and administrators—we can save this profession. DuFour, R., Reeves, D., & DuFour, R. (2018). Responding to the ESSA with professional learning communities at work. Bloomington, IN: Solution Tree Press. Fullan, M., Quinn, J., & McEachen, J. (2018). Deep learning: Engage the world, change the world. Thousand Oaks, CA: Corwin Press. Goodlad, H. (2004). A place called school. New York: McGraw-Hill. Harter, J. (2016). First, break all the rules: What the world's greatest managers do differently. New York: Simon & Schuster. Marzano, R. (2017). The new art and science of teaching. Bloomington, IN: Solution Tree Press. Reeves, D. B. (2015). Inspiring creativity and innovation in K–12. Bloomington, IN: Solution Tree Press. Reeves, D. B. (2016). From leading to succeeding: The seven elements of effective leadership in education. Bloomington, IN: Solution Tree Press. Reeves, D. B. (2017). Finding your leadership focus: What matters most for student results. New York: Teachers College Press. Walker, T. (25 August, 2015). Want to reduce the teacher shortage? Treat teachers like professionals (An interview with Richard Ingersoll). NEA Today. Douglas Reeves is the founder of Creative Leadership Solutions. A prominent speaker and writer on education, he is the author of From Leading to Succeeding: The Seven Elements of Effective Leadership (Solution Tree, 2016) and Leading Change in Your School (ASCD, 2009). Follow him on Twitter.